This is a Lunchbox sponsored post. All opinions are my own. Did you know there are other uses for dish soap besides washing the dishes? There are at least 25 Ways to Use Palmolive dish soap! Many of them you may never have thought of. There are some really great ideas here so be sure to check it out! One of my favorites from the list is using Palmolive dish soap to clean your makeup brushes. I’m not as diligent as I should be about this little task so I was excited to learn just how easy it is! Add a dab or two of Palmolive to a clean damp sponge. 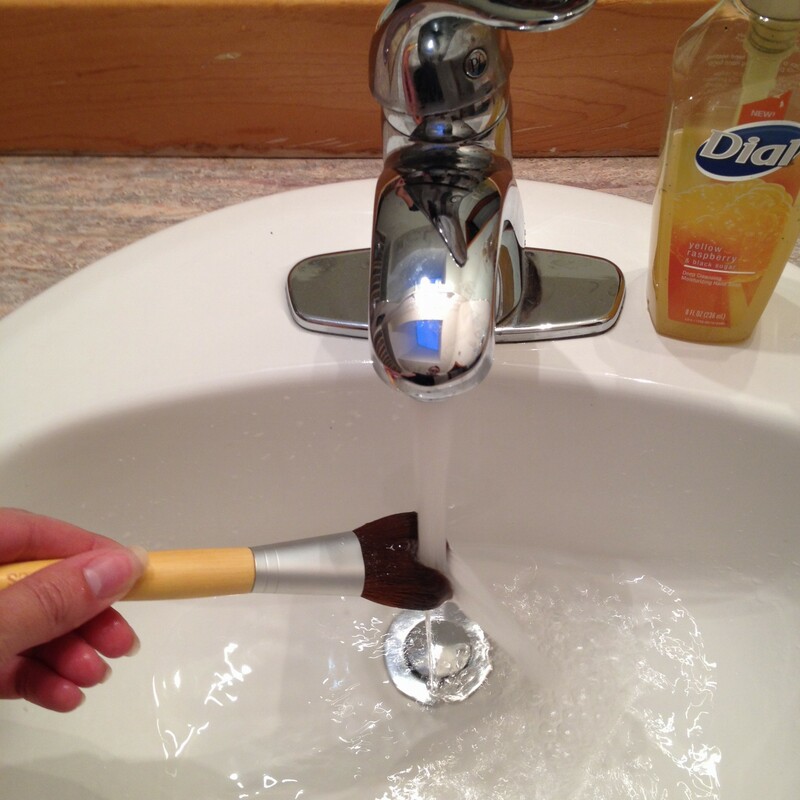 Next wet your dirty makeup brush and rub the brush back and forth on the surface of the sponge. When you’re done cleaning, rinse the brush with warm water and lightly dry on a paper towel. Easy, right? This process worked really well on all of my makeup brushes. I never would have thought to use Palmolive this way but I am so glad I discovered this new way to use it! Want to learn how to make a bubble solution or rainbow soap foam? How about something more crafty like wool beads or a pen & pencil holder? You’ll find all of these and more over on the Walmart website. During August and September click through to the 25 Ways To Use Palmolive page on Walmart.com to learn how you can use Palmolive dish liquid for fun activities. Plus, enter for a chance to win amazing weekly prizes and a grand prize $2,000 Walmart gift card. Enter for a chance to win a Palmolive Kitchen Essentials Basket filled with the items below! Feeling lucky? Enter to win 1 of 5 $50 Walmart gift cards by filling out the form below. This giveaway ends on September 11th. Good luck!